Optional kit to upgrade the 5100mz to the 5100mz-Plus. 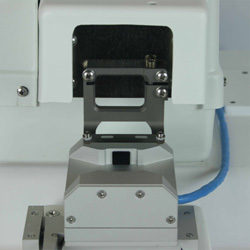 Allowing the user to optimally calibrate the Z-axis deflection of the blade to 2± 0.1 µm. The 5100mz is a very competitively priced, high precision, vibrating microtome which shares many features with the top of the range 7000smz series, such as the vibrating mechanism, the inner and outer tissue baths and the easy to use control system.